I know...I've shared so many chocolate chip cookie recipes. Why share more? Um...if you're asking that question...why are you on my website? That's crazy talk! 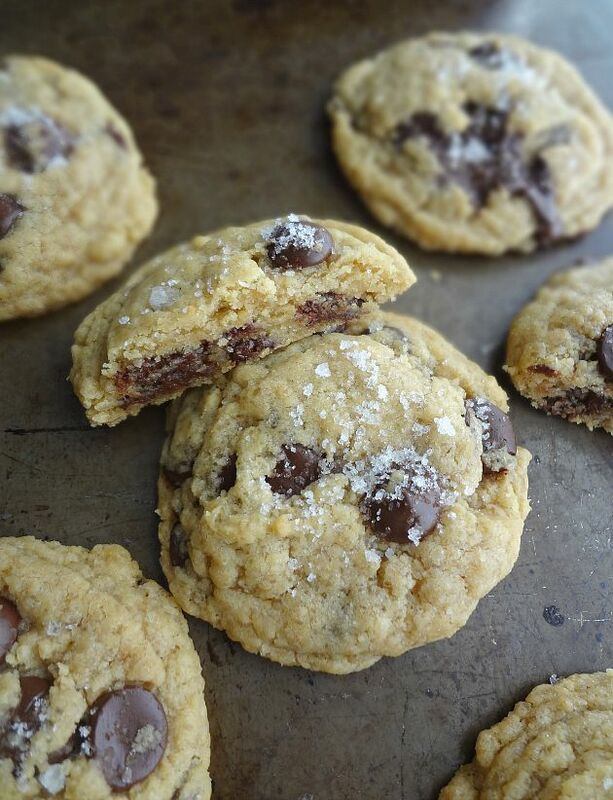 OF COURSE we always need more chocolate chip cookies! ALWAYS! You silly, I'm glad you've seen the error of your ways. Now we can talk about these cookies in peace and happiness. 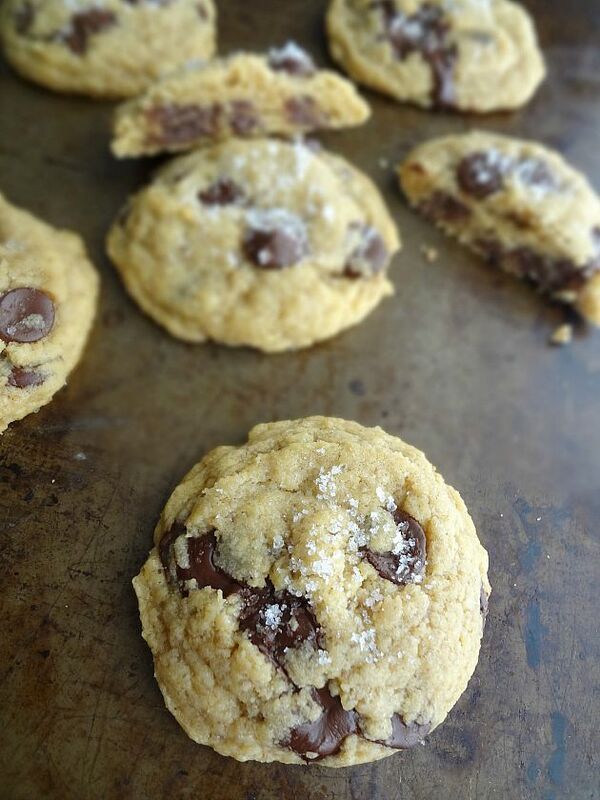 Full disclosure--these are not my favorite chocolate chip cookie recipe. They're not even that high up on the list. BUT I do like them...a lot. And they come from one of my favorite blogs, Pinch of Yum, and when she raves about a recipe like she did about this one I HAD to give it a try. And I have NO REGRETS. Because...I've made a lot of outstanding cookies. It's not these cookies fault that I have insanely high cookie standards. And they were also really really delicious so...like I said. No regrets. They're soft. Yet crunchy (thanks to the raw sugar). And complex. And chewy. And gooey. And sweet-but with just enough of that saltiness that I love with my desserts. Yes....I definitely am happy that I was able to enjoy these. And I know you will be too! Makes approx. 8-9 large cookies. Brown the butter: In a preferably light colored saucepan, over medium heat, melt butter and whisk continuously as it foams and bubbles, until little brown bits form and it begins to turn amber. Immediately transfer to a large, heatproof, bowl (making sure to scrape in all the little brown bits). Move to the refrigerator to cool so it's still mostly liquid but becoming to solidify. Preheat the oven to 350F degrees and prepare a large cookie sheet by spraying with nonstick cooking spray or lining with parchment paper or a silicone baking mat. Using a stand mixer or hand mixer, cream the butter and sugars together until creamy. Beat in the vanilla extract and the egg on low speed until just combined (no more than 10-15 seconds). 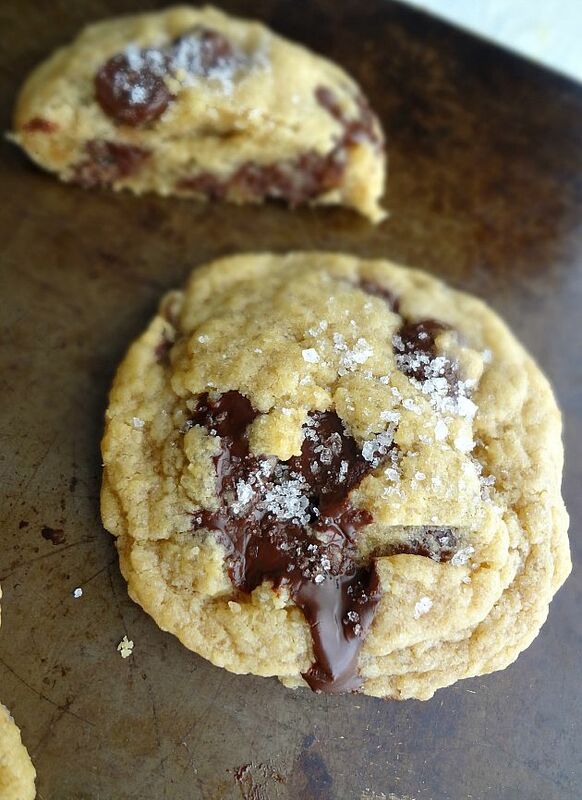 Stir in the flour, baking soda, and salt until crumbles form. Use your hands to press the into a dough. It should form one large ball that is easy to handle but not at all sticky (if it is, add more flour). 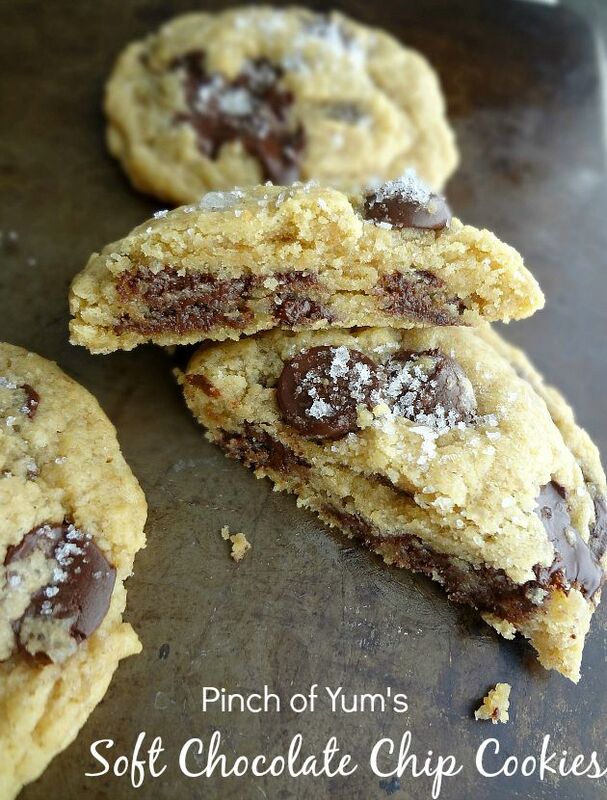 Mix in the chocolate chips, using your hands so that they're evenly incorporated throughout the dough. Store in an airtight container at room temperature for up to 5 days-should stay soft and chewy!